Years ago a colleague of mine made a presentation discussing 3D Printed helmets. His point was that a helmet was an example of something that would be difficult to commercialize as a 3D printed product because of regulatory issues. You could get a better fit or even a safer helmet with 3D printing, but how would you be able to crash test all of the helmets? If each helmet has to be crushed 180 times for regulatory approval, then how would you test an individual helmet? Today a Canadian firm think that they’ve found an answer to this problem by designing and making a 3D printed helmet. This project was started back in 2017 and the team has been refining it ever since. We’ve seen a number of 3D printed bike helmet designs on our site, some are whimsical others very serious, will Kupol be the one that we wear? Designed to take advantage of 3D printing the Kupol bicycle helmets can be customized and make use of novel 3D printed structures to absorb impacts and engender comfort. We interviewed Gabriel Boutin, the CEO of Kupol to find out more. Our helmets are currently made of PA12, which is the most common material in terms of plastic powder. It’s a great choice for its mechanical properties. We plan to test using polypropylene as soon as it is available on the market for MFJ, and are committed to making sure we use the safest and most efficient technology available. Why did you pick this material? Density and thickness are the main factors we test to reach a specific energy-absorption score. Our test results show that there are no real limitations in terms of materials. In fact, our 3D printed structures can be adapted to use with a wide range of plastic powders. The Kinetic Bumpers inside the Kupol helmet. Why a 3D printed helmet? As a consultant in the field of helmet design for over a decade, I’ve come to the conclusion that the main road block in the evolution of helmets is the manufacturing process. The cycling helmet was always meant to evolve into a sophisticated 3D printed object. The foam helmet as we know it has not significantly advanced in more than twenty years. It’s high time for a revolution. Molding the insulating material—called expanded polystyrene—was a major obstacle to fulfilling our promise of comfort. That’s why we came up with our patent-pending KOLLIDE safety system, composed of three parts. The 3D KORE is a matrix that collapses on impact to take the brunt of the force while acting as a foundation for our two additional layers of technology. The outer KINETIC BUMPERS cushion your head and act as a density absorption layer to slow the speed of impact before it reaches you. Finally, the inner helmet is lined with OKTOPUS technology, made from over 100 flexible, independent sucker-like pods that offer an adjusted, aerated fit as well as allow the helmet to move in rotation to absorb any kind of impact. Thanks to 3D printing, we can offer a product that’s available in twice the number sizes of traditional helmets. A better fit means better protection. Also, the 100+ OKTOPUS pods inside the 3D KORE enable us to provide a helmet with a semi-soft interior that adapts seamlessly to any head shape.In future, we plan to offer a wider range of colors and graphics to suit everyone’s tastes. Can customizable, full-color 3D printing be in the cards? I’m thinking that’s a yes. The printing time is actually quite fast. In about 12 hours, you can print 8 or so complete 3D KOREs. We print the main portion of the helmet in 4 sections to make the most of the space available in the build unit. Then we assemble the pieces, taking advantage of complete design freedom thanks to additive manufacturing. We work in collaboration with HP on their multi-jet fusion platform to achieve the best productivity and quality available on the market today. 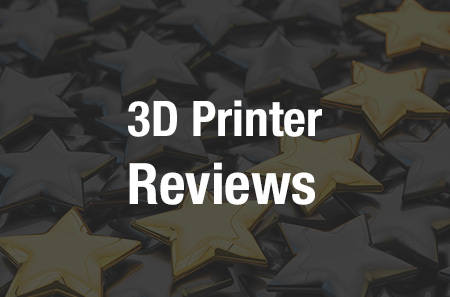 What advantages does 3D printing bring to the user? 3D printing is the only manufacturing process that lets the designer focus solely on their goal: head safety. Other manufacturing techniques such as injection molding force the designer to compromise on so many aspects, from size to draft angles, fewer SKUs, and more. On the other hand, the user wants a helmet that’s as light as possible while offering superior protection as well as breathability. They want a perfect fit without uncomfortable pressure points, and expect the cutting edge of safety for the price they are willing to pay. The cyclist isn’t looking for compromise—they want it all. And that’s just what kupol gives them. Each print contains several test specimens that are controlled using precise engineering methods. We also perform impact tests to ensure the deceleration is constant. We are living in a time when 3D printing technology can deliver a constant and reliable output—which is key for what’s considered the 4th industrial revolution. How can you ensure that all helmets are safe? Our helmets will be put through the standard certification process—CPSC for North America, CE for Europe—as well as undergo any other qualifications required. Our mission at kupol is to contribute significantly to the advancement of head safety, and everything we do is a reflection of that commitment. Although our team is relatively small, we have adequate funding that allows us to work in collaboration with several renowned partners. My own unique experience in helmet design includes over a dozen helmet projects for other brands. Our 3D printing approach also allows for something I like to call asymmetric warfare—especially when it comes to current industry leaders. In the past, if someone like me wanted to develop their own helmet, there was only one possible path: fly to China, work with a major player, pay for expensive tooling, order minimum quantities, limit the number of SKUs, wait several months to receive your first helmet, find distributors, and hope for the best. Now? A small company can completely reinvent the industry thanks to additive manufacturing. 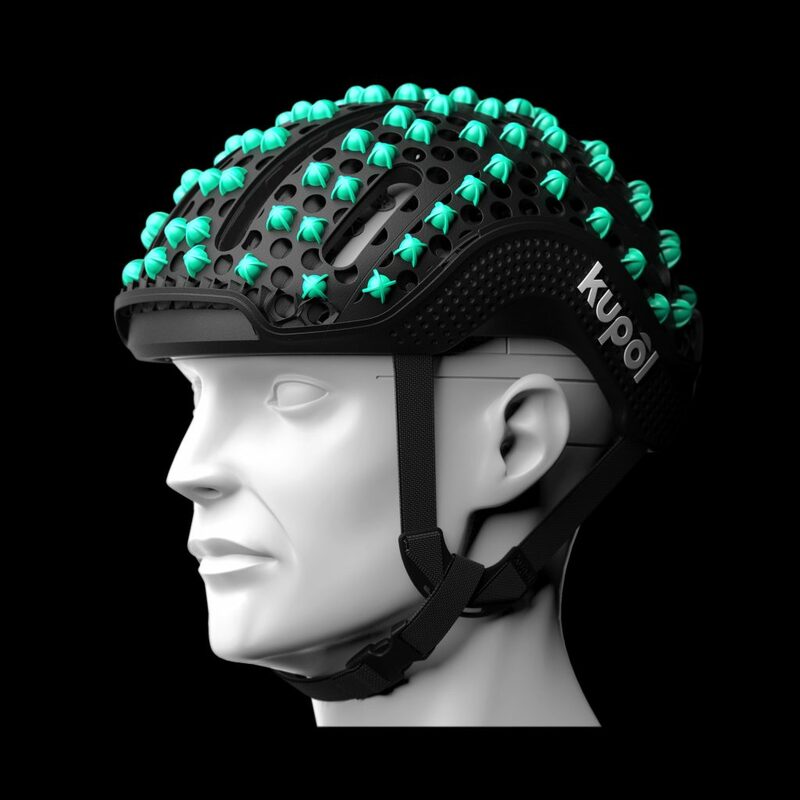 At kupol, we want to reinvent more than the cycling helmet. We believe we’ve found the right recipe to redesign other types of helmets, which is our goal for the long term. In the short term, we’re preparing to launch our first kupol cycling helmet—a versatile product for riders who commute, cycle for speed, or head off road. Helmets have long been a target for people in 3D printing. Kupol seems to be bringing considerable industry experience to bear and combining this with 3D printing. Leveraging experience through new technology is always going to be a novel approach that leads to some results. How good are those results? We’ll have to see about that in the future. For now, the approach seems solid and kupol seems peppered by 3D printing wisdom such as optimizing parts for nesting, splitting up assemblies for different functions and increasing the number of variations. What I think is the smartest thing that they’ve done is to not be seduced by the dream of everyone’s unique head a unique helmet but rather to increase comfort through design and using 3D printing’s ability to create absorbing and flexible structures. They then did increase the number of sizes to aid in comfort but did not make an infinite number of helmets available. Infinite helmet variations is perhaps the dream but the team is sticking to an easier to produce but still advantageous design initially. This seems like a smart move. These kinds of startups could represent a big win for HP as well. For many goods, it makes sense to stick to the tried and true and with those that have track records (eg EOS). With a new thing, however, why not learn on a new platform? Also, even though HP is a giant firm comparatively the company is the challenger in the market, the 800-pound startup if you will. A recipe for disaster perhaps or possibilities of le leveraging synergies and advantages that other manufacturers don’t have. If HP is hungry and flexible enough then they have the ability to nurture, incubate and grow startups in their ecosystem. HP can spend the time and candlepower to help startups get up to speed. If HP would fail at this for a decade and produce one Invisalign or similar it would be well worth it. Meanwhile, at EOS it is “bitte warten sie” (please hold) while the company scales to meet demand while hiring hundreds of people to serve customers. At this point, it may just be enough for two firms to be at very different growth phases to make a significant difference as to how this market plays out. The powder bed technologies have in my mind always been a perfect match with medical, safety and other personalized regulated gear and partners. Kupol is in and of itself a great opportunity but the bigger picture to see who commercializes anything from PPE to sports equipment and medical assistive devices is being played out as we speak through Kupol and the choices they and their competitors make.